Reputation management software allows you to manage all of your online reviews in one place so you can make sure you are promoting a positive online image. We researched dozens of the most popular options and will review our top three picks: ReviewTrackers, GetFiveStars, and Grade.us. These companies cover the range for small businesses in terms of price and services offered. Read on for our comparison of these three options, as well as our recommendations. We recommend ReviewTrackers because they offer the best range of features for the price, are easy to use and have excellent customer support. Their innovative system not only requests and tracks reviews, you can also view the most common problems and praises in your customer’s reviews across over 75 review websites. Learn More Monitors over 75 review sites including niche review sites for restaurants, car dealerships, law and medical oﬃces. Option to contact to add additional sites. Monitors 7 review sites, including Google, Facebook, and TripAdvisor Monitors 85 review sites with option to contact for additional sites. Learn More Ask for reviews via email or by sending customers to a unique landing page. Can either send review request, or request for feedback. Email is sent to customers asking them to rate your business. Customers that give positive rating asked to rate company on third party review site. Customers are led through a “review funnel” where they are first asked to leave a review, and then sent different triggers depending on action taken or not taken. Learn More Includes average review rating and number of reviews by month and review site View your net promoter score, customer feedback, and email request open rate See current and past reviews plus analytics on trends over time. What does Reputation Management Software do? For this article, we are reviewing software that provides these features at a low cost and in an easy to use way. We recommend ReviewTrackers because the software offers all of the four features mentioned above for an affordable price and with an easy to use interface. It is also the only company of the three that uses advanced technology to scan your existing reviews and formulate “Trending Topics” for your business. 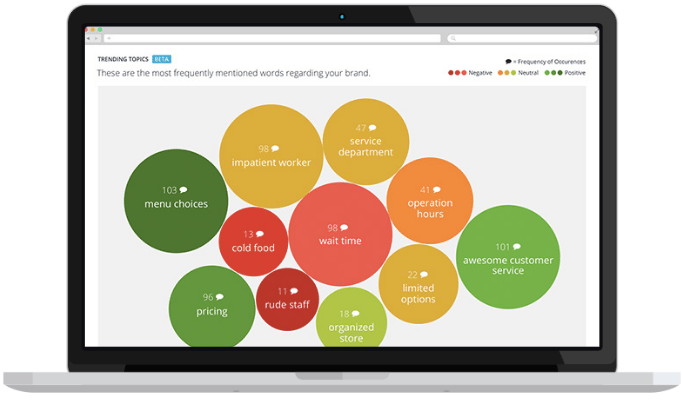 This helps you easily see common sentiments across all of your reviews, which you can use to quickly address the problems that are causing negative feedback. They have the most intuitive dashboard of the three software that I tested, where you can see all of your reviews across over 70 websites. You can click into your average rating for a site to see individual reviews, and easily respond to customers by hitting a button that will send you directly to that review site. They also have an excellent support team that is friendly and you can reach either by phone, email or by creating a ticket. ReviewTrackers has the right mix of being easy enough for the average small business owner to be able to use it, but with still having a good amount of functionality to manage and improve your online presence. The only downside is that the software is not as customizable as Grade.us. For example, many users mentioned that they wished there were a few more review request templates included. 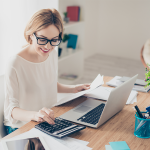 However, the average small business owner should be satisfied with the number of options, which is why ReviewTrackers is our recommended provider. GetFiveStars is the least expensive software of the three, and you will save $10 a month if you go with this option over ReviewTrackers. Therefore, if you are just looking for an easy way to request reviews from your customers and be alerted to any negative reviews, then this is a good option for you. However, aside from counting the number of reviews and showing your feedback request open rate, the system does not analyze or interpret reviews. Therefore, if you want to learn more about why your customers’ views towards your business are changing, or data to help you determine what you can do to change negative sentiments, then GetFiveStars will not offer enough information for you. GetFiveStars offers a clean interface and a simple process at an affordable price. 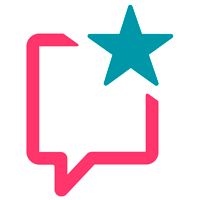 If you care less about the reporting side of it, and just want to rack up more online reviews, than GetFiveStars is the best option for you. Grade.us offers the most customization and features of the three, so if you have the time and resources to dedicate to the process, then this is a good option for you. For example, just with setting up the email for requesting reviews, there are tons of possibilities. You can insert custom feedback forms from Wufoo or Survey Monkey, attach an offer, brand the email specifically to your business, send customers to a custom domain, include custom HTML or CSS, add a “powered by” tagline, setup a drip email campaign, and more. That is why this is a good option for you if you have a specific vision in mind for your feedback request form, as almost everything is completely customizable. However, with more options comes a steeper learning curve, and all of these possibilities can be overwhelming if you don’t have the time or resources to set everything up in the system. Therefore, if you are a tech-savvy marketer, then you will be very impressed with all of the options Grade.us provides. However, the average small business owner, will probably prefer using the simpler interface that both ReviewTrackers and GetFiveStars have to offer. All of the software are priced on a subscription basis, with no contract necessary. We will be discussing the single location option in the majority of this guide, but all three companies do offer multiple subscription options. The ease of use of a software is important for small business owners who don’t have much time to learn new platforms. That’s why we took this into consideration when choosing our recommended reputation management software for small businesses. ReviewTrackers: ReviewTrackers is a good combination of being easy to use while still providing enough functionality for the average small business. The interface isn’t overwhelming, and the process of learning how to use the system is very straightforward. GetFiveStars: GetFiveStars offers the simplest solutions and therefore is the easiest to use. This does come with limited capabilities, but for the user who just needs a standard request review form and basic tracking and reporting, you should get everything you need with this software. Grade.us: Grade.us has the steepest learning curve because it has the most capabilities. You can customize review request forms with custom HTML, and create rules so that all reviews above 4 stars are automatically streamed to your website. You are also able to set up drip email campaigns within the system so that customers receive targeted emails based on past actions. This is great if you have the time to devote to this, but Grade.us requires the most set-up, especially if you want to get the most out of the software. It’s important that the review management software that you choose monitors the review sites that are most popular amongst your type of business. 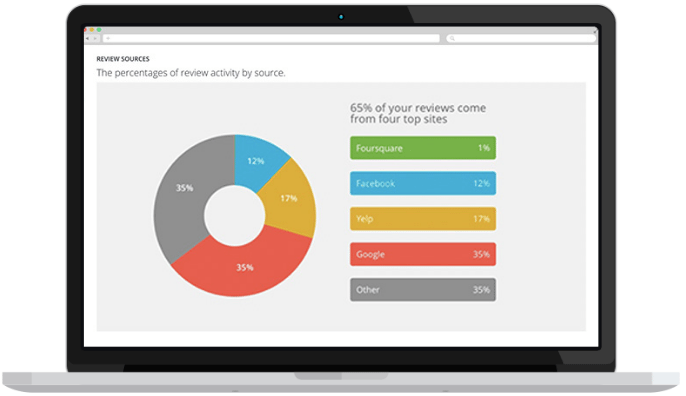 ReviewTrackers: ReviewTrackers monitors over 75 different review websites. If they don’t have a review site listed for your specific niche or location, you can let them know and they will add it. To get alerted when someone leaves a review for your business, you can set it up so that you, and anyone on your team receives an email alert whenever someone leaves a review for your business. 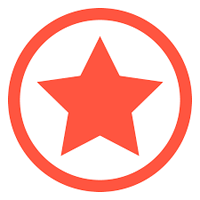 GetFiveStars: GetFiveStars only monitors 7 review websites. However, they are the most popular review sites (Google, TripAdvisor, Facebook, Zillow, Avvo, Yelp, and YP.com). They will also alert you via email to any new reviews. Grade.us: Grade.us monitors 85 review sites. They alert you to new reviews either by email or text message. Businesses with multiple positive online reviews are much more trustworthy to potential customers than businesses with little or no reviews. However, asking your customers to leave a review is a delicate process because you don’t to make people feel like you are pressuring them, and you never want to buy fake reviews. Plus, many sites will block your business if they notice suspicious activity, such as multiple 5 star reviews in one day. Here are the strategies the three software use to generate more reviews for your business. Directly ask customers to leave a review on a selection of up to 3 review sites. Ask customers to rate your business from 1-10, and send them to either a review website, or to a request for private feedback, based on their response. ReviewTrackers’ feedback form. What customers see when they receive a review request. GetFiveStars allows you to email your customers and ask for feedback. Based on their response, you can send them to a review site, or to a place where they can send feedback directly to your company. Grade.us allows you to invite customers to review your page through email, phone/SMS (additional $8/month), or by printing out cards to distribute to your customers. 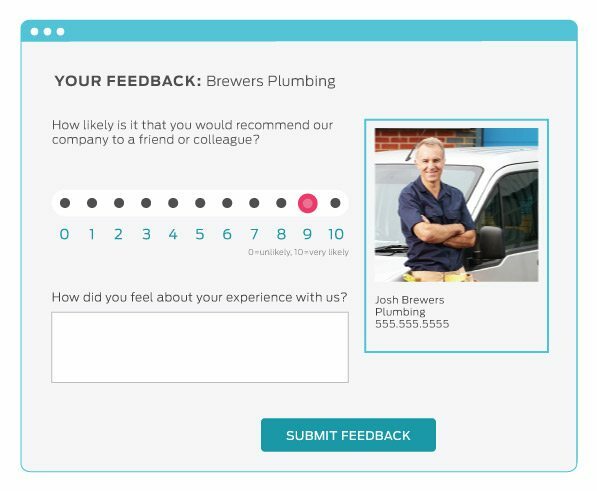 With this software, you also have the option to gauge a customer’s feelings towards your business before you send them to an outfacing review page. You have the option to use smiley faces, thumbs up or down, or a numerical scale to do this. Grade.us feedback form. 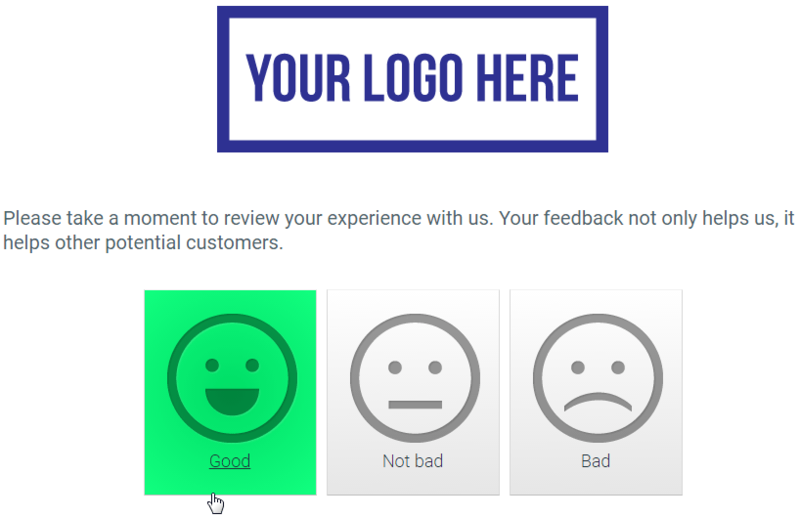 Ask customers to rate your business first using smiley faces or a numerical scale. In order to see if your efforts to gain more positive reviews are working, you will need the ability to generate reports. 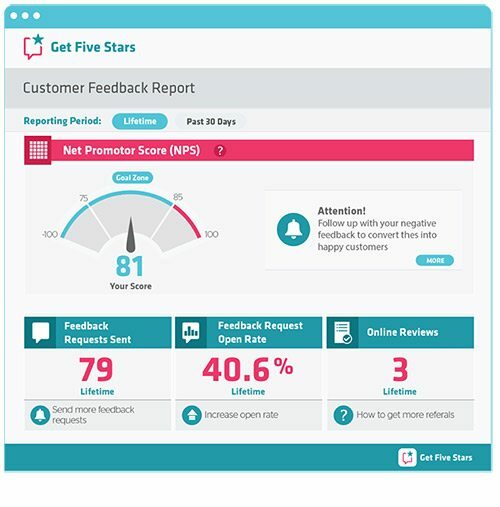 GetFiveStars has a dashboard that includes your Net Promoter Score (NPS), the number of requests for reviews you have sent out, and your feedback request open rate. Your NPS is a metric used to gauge customer loyalty. By asking your customers how likely they are to refer you to a friend or colleague you can establish your NPS, and bring statistical evaluation to your business growth. Grade.us gives in-depth insights on how well your review requests are working. See trends over time, plus view your new reviews and where they are coming from. It’s important that your reputation management software has a supportive customer service team to help you get started. All three have excellent customer support with phone, email and self-help options. GetFiveStars also offers live chat. ReviewTrackers: ReviewTrackers offers phone, email and ticket support. Most of the customer reviews that I have read online mention their excellent customer service and the quick response time. GetFiveStars: With GetFiveStars, you can contact customer service by phone, email, or live chat. Grade.us: Grade.us offers phone and email support, plus a knowledge center with self-help documents. ReviewTrackers Small business owners ReviewTrackers offer the best features for the price, and is our top pick for small businesses. GetFiveStars Businesses on a budget GetFiveStars is the least expensive and most straightforward option. Grade.us Marketers With the most advanced features, Grade.us is a good fit for businesses with a dedicated marketer with the time to learn the system and implement the features. Podium Sales teams Podium allows multiple users to request reviews, and the system tracks the staff members’ success rates. BirdEye Social media management BirdEye monitors social media sites (Twitter, Facebook, etc.) and alerts you when someone makes a comment about your business. Reputation Loop Consistent citations Manage your listings across 55+ websites to make sure your name, address and phone number is consistent across the board. Brand24 Finding industry influencers Brand24 will identify commenters with the most social influence so that you can decide who you want to work with. Brand Yourself Individuals Brand Yourself works to get the results you want to show when people Google your name. Yotpo User-generated content Easily turn positive reviews into shareable content by pairing reviews with captivating images. Reputology Ease of setup Reputology’s team will handle the initial set up of your account. Review management software is a great way to save time and improve your online presence. Using a system to aggregate reviews and show you improvements over time gives you better insight on what you can do to make your business better. We recommend ReviewTrackers for it’s easy to use interface, low price point, and helpful customer support. That being said, all three software offer free trials, so give them a test drive to see which system works best for your business. Let us know what you think in the comments below! How about Broadly.com? I’ve been talking to them and want to sign up but wanted to know if anyone had experience working with them. I have not worked with them, but maybe one of our readers can provide some insight. Great article and quite helpful, even nearly a year later. I’ve recently been informed that our reputation software (not in the top three you explored) will no longer synch with Yelp as of February 2018. I’m assuming that Yelp is severing ties with all reputation software companies and not just the one we use. Do you have any insight to offer? Yelp is one of the top three sites used by consumers to review our company and the loss of this data from our dashboard, analytics, etc. is going to pose a major problem. If I need to shop for a new software, it would be nice to know which companies are addressing this issue and finding a workaround if needed. Yes, Yelp is cracking down a review solicitation, so it wouldn’t surprise me if all reputation management software can no longer connect with Yelp. Here is an article with more details on why Yelp is no longer allowing companies to send customers directly to their site. Some good options here, but you’ve left out many that are just as good as mentioned. Such as ReviewPush, NiceJob, PowerReviews, Bazaarvoice, ModernComment, and many more that didn’t make into the list either. I come to FitSmallBusiness for unbiased opinions and reviews, but this time around it didn’t deliver when a subject I was more familiar with since I had recently been looking into this topic. When choosing which reputation management software to review, I did extensive research and tested multiple options to determine the top three. 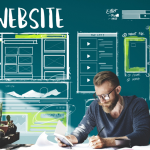 It’s possible the software you mentioned didn’t make the cut because it didn’t have as many features, or perhaps was too costly for most small businesses. When it’s time to update the article, we’ll re-evaluate the software in the category to see if any changes should be made to our recommendation. Really nice and thorough review Maggie. I’m curious to know what’s your thought on Vendasta Reputation Management software? It is also white labeled and optimum for agencies to use for small-local businesses. Do you think this software can be a good addition to your post? I would happy to provide all the necessary content for you to review. We can definitely test out Vendasta when it’s time to update this article. I have been looking at the 3 White Label Companies that you recommended…I am not sure about the prices. If you want white label for this I would look into Reviewly. Our agency has been using the platform and it works well, plus it doesn’t have a crazy setup fee like you mentioned either. I think only ReviewTrackers and Grade.us offers a white label version of their product. To get the cost of ReviewTrackers’ agency plan, you will need to contact them for a quote. Grade.us charges $200 per month for their agency plan.